Our website is currently under reconstruction so apologies if some information is out of date. Denbighshire County Council has adopted a strategic aim of being “a high performing council closer to the community”. 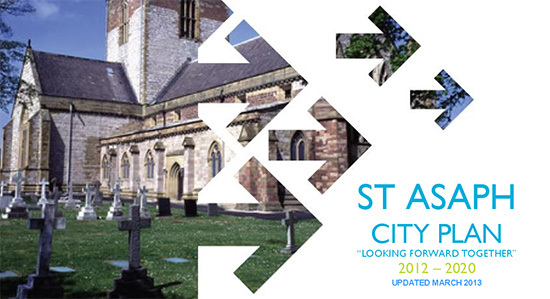 To help achieve this aim, the County Council is inviting the St Asaph city and community councils and the businesses, community and voluntary sectors in St Asaph which relate to them to join together to develop a city plan. These will be living documents which will be subject to regular reviews and will set out.